Modern Korean Cinema: News: Will Steven Yeun Star in Lee Chang-dong's BURNING? News: Will Steven Yeun Star in Lee Chang-dong's BURNING? Last week we finally got the news we'd all been waiting for when it was confirmed that Lee Chang-dong would finally be getting back behind the camera to shoot his next feature Burning, an adaptation of a Haruki Murakami short story. 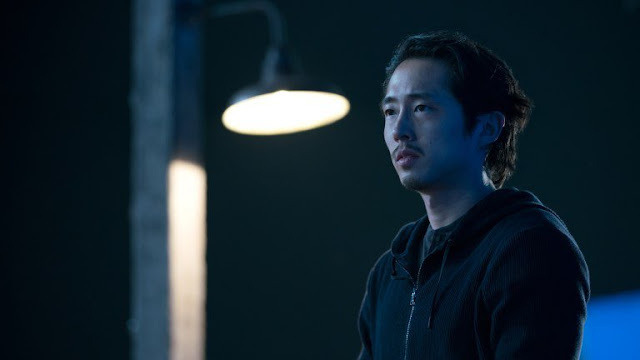 Now, with only a few weeks to go until its mid-September start date, news has broken that Walking Dead and Okja star Steven Yeun has been offered a lead role in the project. The production company has confirmed that the offer was made but that nothing has been decided. They also stated that they've reached out to several people for the part. If Yeun does sign on, he'll be taking on the role that was originally going to be played by Gang Dong-won, who will be busy for the next few months shooting Kim Jee-woon's Jinroh: The Wolf Brigade adaptation In-rang. No casting news has been confirmed, but it sounds like Yoo Ah-in is still on board for the second lead male role while a new actress will be picked from auditions to complete the main cast. Burning, will be Lee's first film since 2010's Poetry, is aiming for release in the first half of 2018, which would put it in Cannes' line of sight. Do you think this would be a good fit? And who else might have been sent that script?